There is only one eye-bot in the following iteration of the Fallout series, “Fallout: New Vegas,” which was designed to be a potential companion character. Sputnik was the first artificial Earth satellite, launched by The Soviet Union into low orbit on October 4th, 1957. It was equipped with four external radio antennae to broadcast radio pulses. 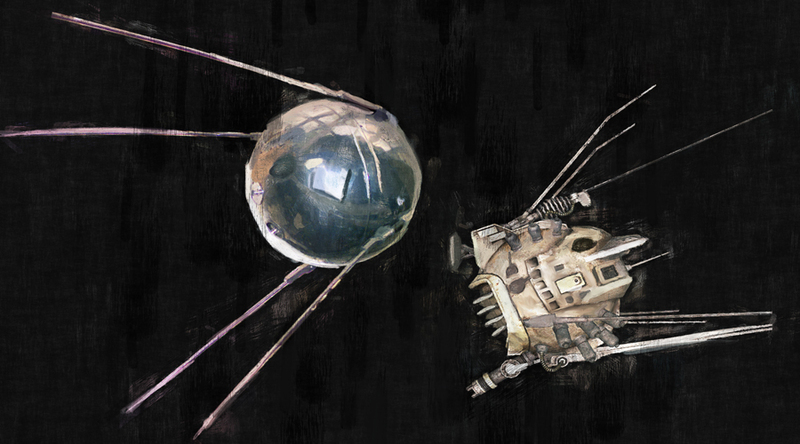 The surprise success of Sputnik’s launch precipitated the American Sputnik Crisis and ignited what would be known as the Space Race, accelerating Cold War tensions between the United States and Russia. The satellite burned-up upon reentry roughly three months later, on January 4, 1958. Sputnik contributed to a new emphasis on science and technology in American schools. With a sense of urgency, Congress enacted the 1958 National Defense Education Act, which provided low-interest college loans for math and science students. The rise of the “missile gap” also became a dominant issue in the 1960 presidential race. Simply put, the event inspired a new generation of engineers and scientists, invigorated American aerospace engineering, and ushered in the Space Age.